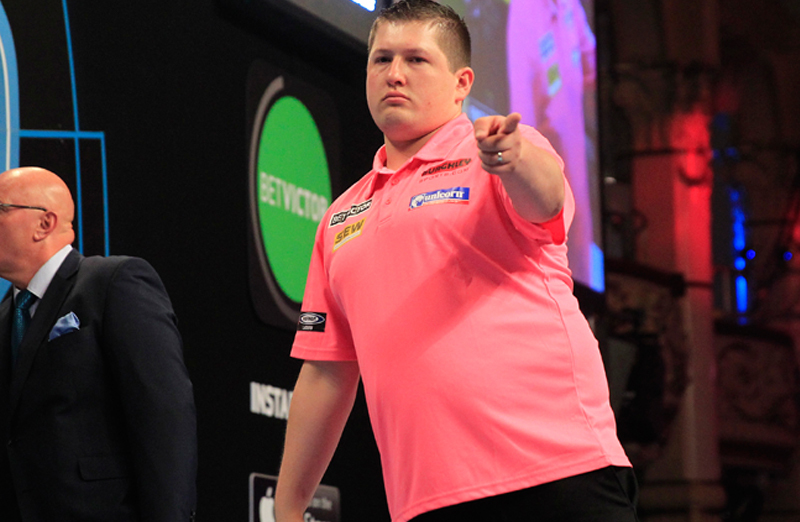 He is the 2014 PDC Unicorn World Youth Champion! Meet Keegan Brown, who can proudly call himself a World Champion at the age of 21. It was on May 22, 2014 - quite simply the night of his life. 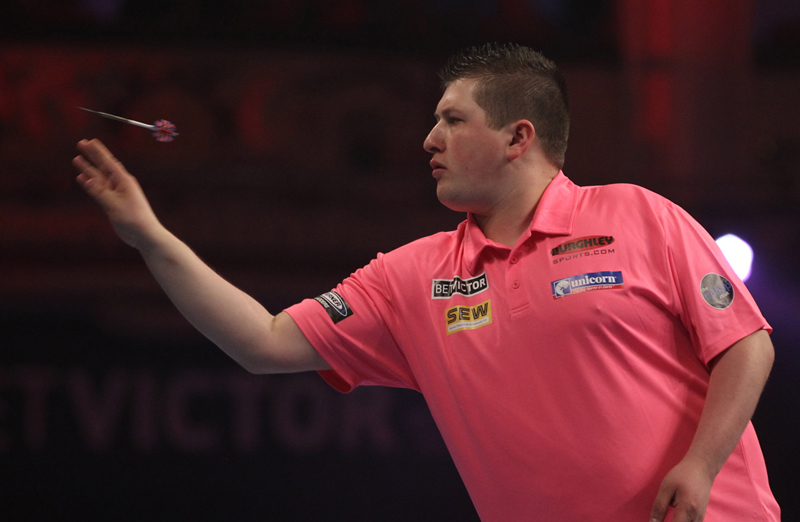 In front of 10,000 darts fans at the O2 Arena in London, he was crowned PDC Unicorn World Youth Champion. His victory opened up so many doors.....as well as the £10,000 prize money, he won a prized place at the World Championship at the Alexandra Palace and a spot at the Grand Slam of Darts. Brown beat Austria's Rowby-John Rodriguez 6-4 in a thrilling final to come of age on the big darting stage. After a nervy, edgy start to the final when he found himself 1-3 down, Brown discovered his range and his form and won five of the next six legs to take the prestigious title. "It took a while to sink in," he said. "That moment is what I had been dreaming of and working so hard to achieve. I have been with Unicorn since I was 13-years-old and it is a fantastic partnership for me. I hope I have repaid some of the faith and aim to carry on doing so!" He has a Tour Card, he has the skills and the set-up and he has the ability to make a real name for himself. "I am determined to succeed. Without that hunger and desire, what's the point?! I always said this was the time for me to kick on and the next couple of years are going to be huge." He has been with Unicorn since joining the Isle of Wight Academy. At the time he was singled out as someone with the potential to make it. 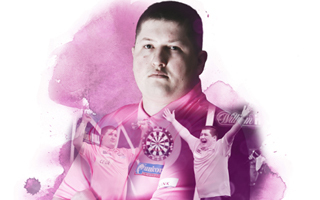 He has done just that but now, it's all about moving forward and becoming a top professional in the world of darts. Brown has already stunned Phil Taylor not once but twice on the Pro Tour! He should have won his first senior title in 2014, when he was the width of the wire away from claiming a Players Championship tournament win May. Brown reached the final after some notable wins, beating Jamie Caven, Jamie Lewis, Antonio Alcinas, Ben Ward with a 112 average and then Peter Wright......in the final he had four darts at 'tops' to win the event against Robert Thornton.....all the darts kissed the top wire and Thornton pinched the win. But it is all a learning curve and valuable experience as Brown targets a place in the world's top 32. He made an impression on his 'Major' TV debut in March 2014 on the main stage at the UK Open in Minehead. He may have lost 5-3 to Austrian Mensur Suljovic, but he showed more than enough to hint at all the good things to come. Can you believe that it was only in 2011 that he lost in the PDC Unicorn World Youth Championship to a certain Michael van Gerwen! How times have changed for both young men! Brown first showed a glimpse of what was to come on the Pro Tour in 2012 when he beat three Team Unicorn stablemates - James Wade, Andy Hamilton and Terry Jenkins - on his way to the semi-finals of a Players Championship tournament. He lost to eventual winner Dave Chisnall but the signs were there and his improvement has been exceptional. That performance saw him break into the top 100 in the PDC Order of Merit for the first time and he hasn't looked back. A rapid rise which shows no signs of slowing down. He is mentored by top darts star - Australian Simon Whitlock and that has certainly helped his game. 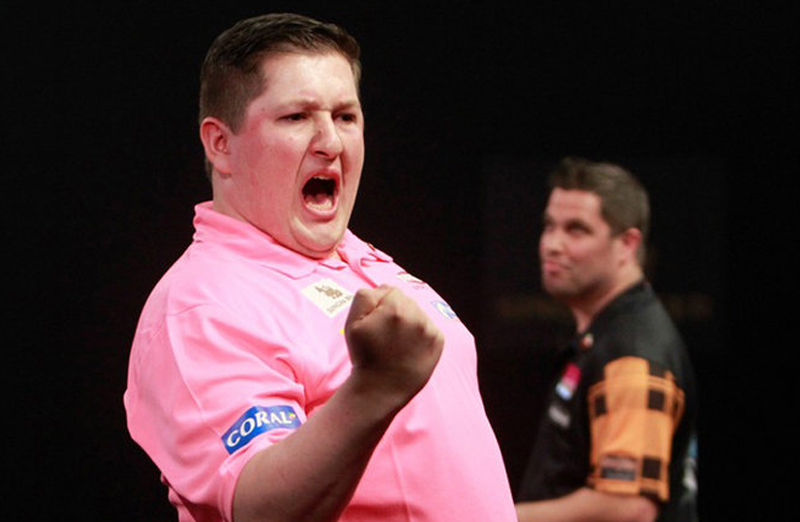 Now, Keegan Brown is a Unicorn 'Contender' and there is no doubting his pedigree to make it into the top echelons of world darts. His future is in his own hands. He has been handed a fantastic opportunity to shine at the sport he loves.